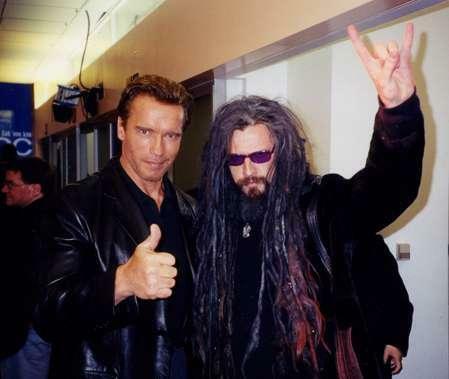 Rob & Arnold Schwarzenegger. . Wallpaper and background images in the Rob Zombie club tagged: arnold schwarzenegger rob zombie. rob??!!! vith ze ahnold guy? vhat is going on here? rob??!!! with the arnold guy? what is going on here? but seriously what the hell.